State-of-the-art autoclave technology, the Econoclave® provides more advanced features and higher performance than any other autoclave product on the market. ASC’s composite curing ovens feature our CPC Composite Processing Control systems and are custom designed to meet the demands of most batch and out-of-autoclave processes. The most advanced and reliable control solution for composite curing and bonding in autoclaves, ovens, and presses. CPC hardware & software solutions are installed on more than 1500 autoclaves and ovens in the world. The world’s most popular autoclave, designed to meet the stringent requirements of the aerospace, composites, ballistics, glass, and nuclear industries. We are looking for Mechanical Fabricators & ASME welders! ASC is hiring Mechanical Fabricators & ASME welders for in-house and field pressure vessel fabrication work. We have some great jobs available! If you are a certified welder and can pass a 6G stick-weld test, then we need you. Are you interested? Click here and apply today! 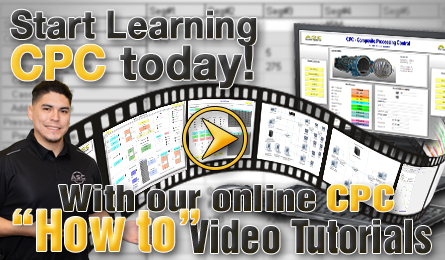 If you are wondering what it is like working here at ASC Process Systems, well... take a look! While we work hard building the best and most energy effience composite bonding autoclave and oven systems known worldwide, our focus is on safety and providing a healthy work environment with a friendly atmosphere making ASC a great place work and call home. Honeycomb Company of America takes delivery of a new state-of-the-art 10 ft. X 30 ft. ASC Econoclave at their Sarasota facility. Tune in to our new YouTube channel! Our "YouTube" channel is growing fast with great informational videos on our product, product tutorials, and safety topics being added regularly! Quartz Hill High School Students Visit ASC! 25 students from Quartz Hill High School spent the day interacting with our engineers here at ASC and had a great opportunity to see how cool engineering can be. SDC announced the operational status of their new 16 X 30 foot state-of-the art ASC Econoclave with an amazing time-lapse of the fabrication process by ASC. The Seattle Times posted some great photos of the 28 ft. X 120 ft. ASC composite curing autoclave in their article about the Boeing 777x wing center in Everett Washington. Weighing in at approximately 90 tons, this 12x50 Econoclave is so big, it took this huge specialized heavy-haul truck that is over 330 feet in length and has more than 150 wheels to carry and disperse the weight during its journey. ASC is proud to announce the installation and startup of a new 4m (13 ft.) x 25m (82 ft.) Econoclave in Shimonoseki, Japan for Mitsubishi Heavy Industries new plant expansion. Kanfit Ltd., a manufacturer of composites structures and a subcontractor for many of the leading major aerospace companies worldwide, is expanding its high performance composites capabilities in Israel with the delivery of a new ASC Econoclave 7x18. Evergreen Aviation 3Mx6M Econoclave is on it's way to Taiwan! ASC is happy to report the completion and shipment of a beautiful Econoclave 3Mx6M for our good friends Evergreen Aviation. Unveiling Lockheed's work on the Dream Chaser Go ASC! It is great to see the autoclaves we produce are being used to create so many fantastic things in our world, including the fuselage for the “Dream Chaser” orbital space plane. Take a look at this article in Composites World unveiling Lockheed’s work on the Dream Chaser and see our 20 ft. diameter x 50 ft. long autoclave in action. The Econoclave’s smart and superior design saves nitrogen and electrical costs when compared to competitive autoclave systems. ASC ships a large 4m x 25m Econoclave systems to Japan in two pieces after factory testing. From rehabilitation centers and orphanages in Malaysia to walk/runs in California to help fight the many forms cancer to the ice bucket challenge, ASC Continues to care and support our community and causes that affect people around the world. Being an ASC employee is being part of a family committed to helping others. See our photos on Facebook from our 5k Walk/Run in March. Hang on and enjoy a 360-degree view from one of our many overhead cranes. Remember to use your mouse or arrow keys to change your view in the 360-degree video while it is playing. << Click the image and take a look around! A 4.2MX12.2M Econoclave system installed in Malaysia is featured in an interesting news article about manufacturing aerospace composites in Asia. A fun video showing a time-lapse of a large 15x30 Autoclave being loaded and shipped from our factory in Valencia California. This autoclave was shipped to an aerospace customer in Thailand. ASC offers Bronze, Silver, & Gold Support Packages. All of ASC's CPC (Composite Processing Control) Support Packages include telephone support with access to a live person, remote desktop support, and free CPC software upgrades. You can also choose to upgrade and include onsite visits for technical support or preventative autoclave maintenance. Contact our Support Team today to see which package is best for you. 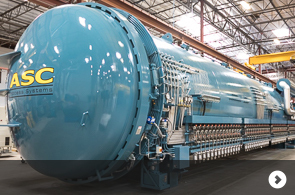 ASC Process Systems is the world's leading manufacturer of autoclaves and ovens for the aerospace, composites, nuclear, vulcanizing, and glass industries. We have been in business for 30 years and are the recognized leader in autoclave and control system technology. The majority of aerospace companies standardize on ASC’s products, including our autoclaves, ovens, and the world-recognized CPC control system. All of our products meet the stringent requirements of the aerospace industry and are considered “best in class” when compared to competing products. With ASC, you are always assured of receiving the most capable and highest quality equipment available. Browse and enjoy our website, which includes detailed information about our products including a history slide-show, free online CPC video tutorials, and a full-featured knowledge-base search engine. ASC employees came together again collected over 200 unwrapped toys for the children at St. Anne's. Helping the children and families that depend on organizations like St. Anne’s makes the holiday’s even more special for all. ASC's Econoclave is in the 2015 SRT Dodge Viper DNA Video! It doesn't get any cooler than this! Check out Dodge's great video documentary on the 2015 Viper SRT Supercar where it features among other things, Plasan Composites and their ASC Econoclave in action. composites autoclave for composite processing. Wichita State University NIAR recently received a new EC6X12 Econoclave system which is the fourth Econoclave installed at this facility. Take a 360 degree virtual tour of our facilities. CPC is the technology required for today's composite processing. Hot drape former's increase your layup quality and lower production costs. Select a standard Econoclave model that meets your requirements! world wide for composite curing.